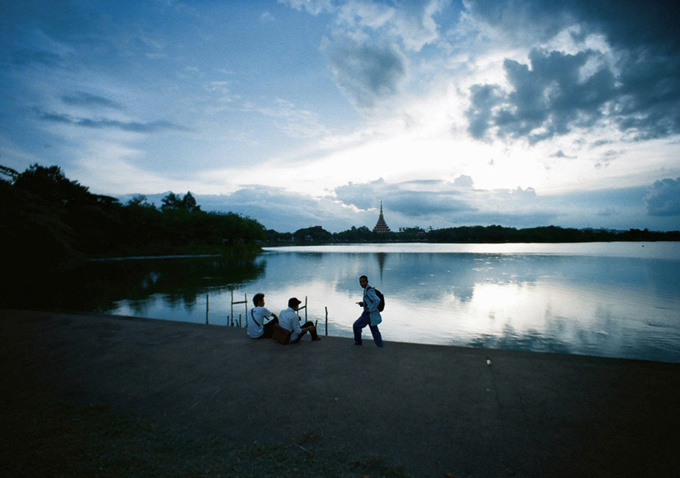 Thai filmmaker Apichatpong Weerasethakul has been generating acclaim on the film festival circuit ever since his 2002 debut “Blissfully Yours,” which he followed up with “Tropical Malady” and “Syndromes and a Century.” The director’s interplay of mythological reference points, structural trickery and allegorical riffs on Thailand’s complex history had no real precedent. But it wasn’t until 2010’s “Uncle Boonmee Who Can Recall His Past Lives” won the Palme d’Or at the Cannes Film Festival that Apichatpong became a global sensation. A delicate tale of reincarnation and mystical beings, the movie also tapped into national trauma associated with the 1965 military crackdown on communist sympathizers. Needless to say, the soft-spoken director has never had an easy relationship with his country’s government, and the situation hasn’t improved much. 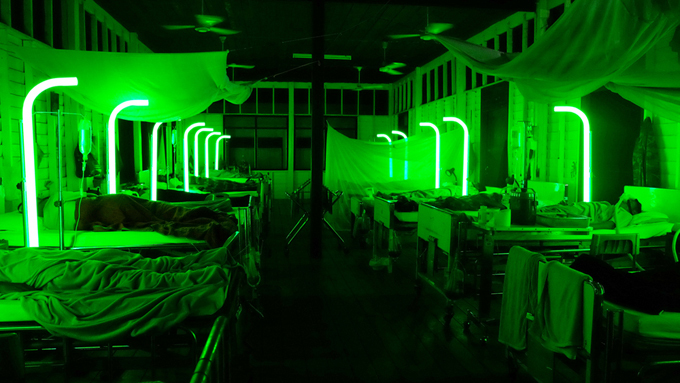 With “Cemetery of Splendour,” which arrives at the New York Film Festival this week after strong receptions in Cannes and Toronto, Apichatpong delivers another poetic exploration of alienated characters whose situation speaks to larger concerns. At its center is Jen (Jenjira Pongpas), a lonely, aging woman tasked with running a relief center housing soldiers stuck in comas all day long. Initially, Jen and some of the other nurses spend their quiet days talking amongst themselves, but eventually they find greater companionship from addressing the sleeping men. Jen’s melancholic routine is briefly complicated by the arrival of an American man who she meets online, though he drifts out of the picture almost as quickly as he arrives. No matter what, she’s on her own — until one of her comatose patients wakes up. Or does he? As “Cemetery of Splendour” explores Jen’s experiences, it addresses the natural rift between the country’s provincial society and its domineering, militant government, which has grown more complicated in the wake of the recent military coup. All that means Apichatpong is on edge about the prospects of making movies in the current society. In Toronto earlier this month, the director spoke to Indiewire about his intentions with the new film (which Strand Releasing opens later this year) and why he plans to go somewhere very different for his next project. So much about this movie is meticulously designed: The rhythmic nature of the scenes, the color schemes and so on. What caught you by surprise about the way it turned out? The theme is pretty clear, there’s less improvisation compared to other films, but we did improvise during the rehearsals and that changed the movie. But the core of it is there from the beginning. We shot for something in the editing room but still it’s pretty straightforward. When I saw it, I cried because of one cut that moved me. I had never experienced this emotional reaction before. I think it must be because this film is kind of different, it’s pretty centered around this woman and her physical and emotional experience. Maybe previous two cuts before the last. It became very personal, more than I expected. And also political. Foreigners might feel it less, but for me, it’s there. In terms of the relationship to how the military is portrayed? Well, yes and no. It’s more about the overall mood of confusion, this sadness, and I pepper it with imagery that may be lost on some audiences. But it doesn’t matter really if you look at the film from different angles. It was a similar situation with “Uncle Boonmee” — viewers who knew the historical context were seeing a different kind of movie. You don’t think others are missing out? No problem, no problem. [laughs] For me, you can get many different meanings from a movie, but I make the movie that I want to make and that’s it. And if it has room for interpretation, it’s better. Your films are so visual. How does that impact your writing process? Yes, I do storyboards, and yeah, this film was very much written there, but I did outline some scenes. In the scene between the woman and her husband,we had a scene in the house and in the garden at night with the rain, and a lot of scenes of a city at night. But while I was shooting I was thinking that, to serve my emotional need to continue the theme, just to fill the whole town with night throughout the shoot. And also there’s a monster scene we cut out. So what’s left is really ordinary, really simple. The movie hovers in this dreamlike state. How do you apply that to a world you know well? Well, it’s my hometown, but I haven’t visited that often, so it’s very obvious what’s changed and what’s not, so I just stick to the place that’s not changed. The colors of the school, the hospital — all these sets have personal meaning to me. How has your relationship evolved in terms of that setting? Could you have made this same film 10 or 20 years ago? No. I used to be more concerned about the structure of the film and how the emotion derives from the physicality of the film. I was inspired by very experimental thinking — classic American experimental film, actually. But as I get older, I want to be more in tune with the characters, and my own merging with them. So you’re less interested in abstract ideas than character? I still do abstract ideas, but the terms of representing them is different. I quote a lot of cinema. Here I still quote, but it’s more of quoting myself. [laughs] And I’m very laidback. Maybe because it’s shot in my hometown, it had this special quality that I can approach more casually, with more innocence. Also, shooting digitally is liberating for me, even though the images aren’t not as graceful as film. But this wasn’t your first rodeo with digital video. It was the first time for feature film. You don’t count “Mekong Hotel”? It was a bigger production. That opens up another issue: Your reputation has expanded in recent years and you’re obviously one of the most successful contemporary filmmakers in Thailand. How does that impact the kind of films you can make there? I’d say I still just strive to make the film I like to make, but it’s getting to the point of self-censorship. I’ll say about a topic, “Hey, you cannot say that because you’ll be in jail,” or whatever. So I’ve started to feel suffocated by this limitation after a few years. Especially after the [military] coup two years ago. I cannot show this movie there. No, it’s a personal decision that I think is valid because of the risk. Do you think the government is savvy enough to understand the context of the film? No, but the thing is, it’s not about the government. It’s a dictatorship, but the situation is unstable and the law is really arbitrarily used, so anyone can sue anyone, and it’s chaos. The law has been abused, and some of the cases go right to military court, instead of civilian court. Even if you’re not in the military. Right. It’s crazy. I wouldn’t want to release anything, even if it’s “Uncle Boonmee” or other other films, in this climate. It’s no use to go against the government with these things. It’s sad. So how will that impact your other projects going forward? Well, this film was planned before the coup. It happened as the political situation was progressing, and I think this is going to be my last film there. So that’s why I shifted halfway to have my hometown be the background there. So you really see this as being your final film in Thailand. Yes, my final feature film. Of course, I’m not going to move that easily, but I feel like in terms of exploration for future movies, yes. So where do you hope to go? I hope for Mexico or somewhere in South America. What do you find appealing about those parts of the world? I feel connected to the history, the brutality, the chaos. It’s all still there, but I figure if I move there, maybe it’ll feel less personal because it’s not my home. I might feel less judgmental. So you’re looking for something that would inspire you to focus on similar themes, but outside of Thailand? Yes, and maybe this is the root of it all. From my childhood, I was invested in ghosts and shamanism, and I think South America is part of those roots — all these drugs or rituals that mess with your perception, and I think that’s what I’ve been trying to explore. It’s all about perception. How do you plan to settle in there? I have no idea, I don’t know. I know the plan you receive and the plan you lead is a bit different. If I was a tourist I would be very happy in Thailand, but to live there is quite something. Right now, I live in Chiang Mai, the north of Thaliand. Do you have an agent who sends you potential film projects? No, but I have a gallery agent for my art projects. So how do you develop your movies? It’s more about the producer. My producers in England are more of a main source — Simon Field and Keith Griffiths at Illuminations Films. Although you don’t make big movies, you deal with fantasy. How much do you pay attention to Hollywood fantasy and sci-fi? They’re my favorite! [laughs] Not much because of the place I live, but yes. I look at special effects, it’s magic. What were some recent ones you enjoyed? I saw “Interstellar” again on the plane coming here. No, we don’t have TV at home. We have cable but rarely watch it. Just books and movies. I read magazines sent to my home — Cinema Scope and Sight and Sound, that’s it. It’s just to inspire me and to know what’s going on. How do you feel about the next stages of cinema? You work more as a mixed media artist, so how do you feel about the future of cinema? It’s not even about cinema; it’s about content. I just finished doing performance in Korea [“Fever Room,” a complimentary work to “Cemetery of Splendour,” presented at the Asian Arts Theatre in Gwanju]. It was the first time I’d done that, and it was a super eye-opening, head-opening experience. So I don’t know what’s going to come out of this Mexican trip. Still, it’s always about cinema for me, whatever I do — art or performance. It’s cinema as life. But how do you relate to developments like online video and the possibilities of short form? Not too much. I’m still limited by frames of cinema. With this performance, there was no frame, but we are a more frame-based society. When you use Instagram at a concert or whatever, you’re actually framing the experience instead of letting it go to you. But I think technology will change that. No, no actually. Something different. Of course I’m very interested in that. I think the ultimate thing is to figure out how to tap into your brain. Then you still need some devices, but it’s going to be a very individual experience. Then you really don’t need so-called cinema. It’s like Wim Wenders’ “Until the End of the World.” I’m pretty sure that will be the reality. “Cemetery of Splendour” screens this week at the New York Film Festival.